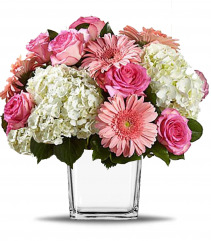 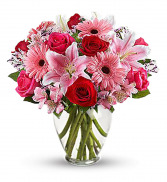 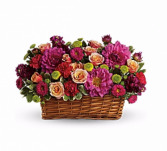 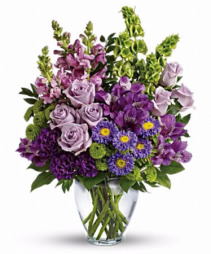 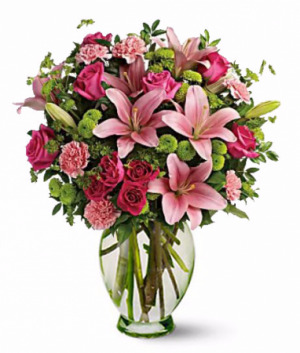 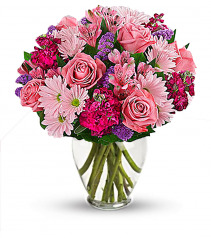 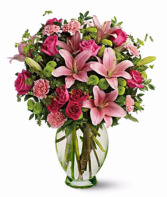 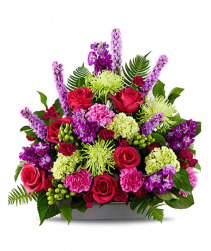 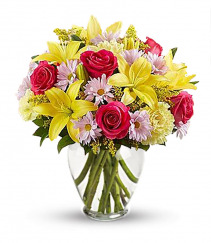 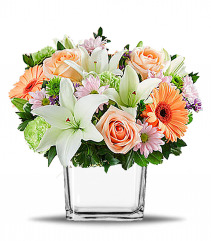 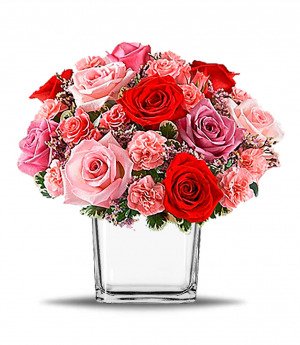 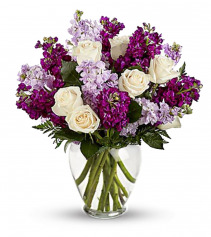 Yellow Roses, Pink Carnations, White Alstroemeria And Pink Asters Are Accented With Solidago And Oregonia, Orientation: Onesided. 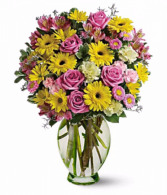 Luxurious Flowers Such As Roses, Gerberas And Alstroemeria Are Gathered In Soft Shades Of Pink And Yellow, Orientation: Allaround. 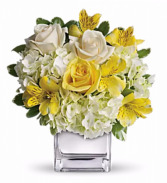 The Cheerful Bouquet Includes White Hydrangea, Yellow Roses, Crme Roses And Yellow Alstroemeria Accented With Fresh Greenery, Delivered In A Contemporary Glass Cube, Orientation: Onesided.